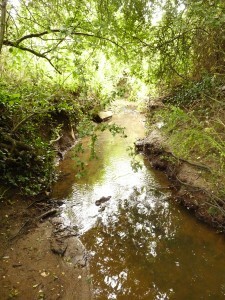 The Gunville Stream at present still retains much of its original course, and has a fantastic but largely unknown heritage, but which is showing signs of stress. Newport Rivers Group believes it will be under considerable pressure from development and we are urging the Local Planning Authority to adopt a proactive and strategic approach which will enhance public access, provide wildlife safe havens, improve water quality and provide flood protection. Most information is now gathered and we are bringing this together in a document that can inform the Isle of Wight Plan.